Our seasoned management team has over 100 years of commercial and government contract experience, possessing the skills and expertise to meet all the facility management, operations and maintenance and HVAC needs of our customers. They are industry leaders who are committed to delivering unsurpassed customer service. President and co-owner since 1999. Cynthia directs security, marketing and human resources. 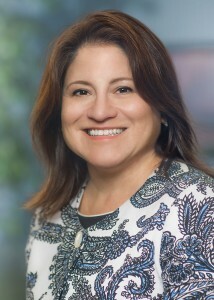 Cynthia is a member of the Maryland Chamber of Commerce and is on the Advisory Committee. She serves on the board for the St. Agnes Foundation and Vehicles for Change. She earned a BS in Public Administration from George Mason University and Juris Doctorate from The Catholic University Columbus School of Law. Cynthia is licensed to practice law throughout the state of Maryland. Vice President and co-owner since 1999. Mark leads strategic/financial planning, business development and senior team development. Mark has over 25 years of facilities contracting experience. He is on the Board of Directors for the Mechanical Contractors Association of Maryland, on the Board of Trustees for the Severance & Annuity Fund, is the Committee Chair for the Education Committee and is Treasurer of the IUOE Local 99 Apprenticeship Committee. Mark holds a Masters Certificate in Government Contracting from George Washington University. Upon graduating from the Pennsylvania State University with a degree in Mechanical Engineering Technology, David started his 35 year Automation, Service & Construction career in Pittsburgh, Pa. as an Applications Engineer for Johnson Controls Inc. David progressed from various sales and management positions with companies such as Carrier/United Technologies, then navigated into the Mechanical Service/Construction industry eventually rising into senior management in 1998 as a Corporate Vice President. David has served in Executive Management Positions with McCarls, Huckestein & Kirlin before starting with Crockett in 2017. David has served on the Board for two of his employers and has attended over 20 industry engineering schools held by Johnson Controls, Carrier/UTC, Honeywell, Barber Coleman, Trane, Automated Logic, American Automatrix as well as sales training by Dale Carnegie & Sandler Schools. David’s Design/Build experience includes Office Buildings, Healthcare, K-12 Schools, Universities and Data Centers (FedEx Ground Corporate Headquarters). He also has an extensive background in providing process heating & cooling Design/Build projects for Steel (USX, Armco, AK Steel & IPSCO), Manufacturing (Solar Power Industries) and the Oil & Gas (Mark West Energy Partners) Industries. Responsible for business development since 2012. Mike directs all commercial and government business development efforts. He has over 30 years of experience in integrated facilities, including building and elevator maintenance, exterior and grounds maintenance and building security services. Mike holds an MBA from Frostburg State University and a BA from Shippensburg University. Scott will be responsible for all mobile mechanical service contracts and projects. Scott has over 24 years of experience leading mechanical service and construction operations working for companies such as Kirlin Mechanical, Heffron Company and Baxter Services. Scott attended both the UA Mechanical Trade School as well as the Montgomery County ACCA Apprenticeship Program. Mike oversees all mobile maintenance, temporary engineering and integrated facilities services for our commercial customers. Mike possess over 15 years of real estate and facilities management experience focusing on business development and account management. 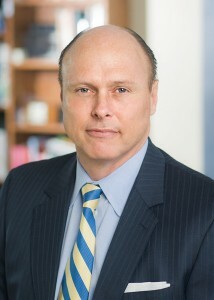 Mike is an active Board Member of NAPE DC #1 and a member of IREM Chapters 8 & 77. Mike earned a BS Degree in Business Administration from the University of New Hampshire, Whittemore School of Business in 1996 and proudly served as a United States Army Officer. Responsible for accounting and payroll since 2007. Kim has 23 years of experience in accounting for construction, service and operations and maintenance companies. For 15 years, Kim was a certified consultant for Sage Timberline Office and Project Management software. Kim has a BS from University of Maryland, College Park. Responsible for all the Human Resource activity, Safety Program Director and Assistant Facilities Security Office. 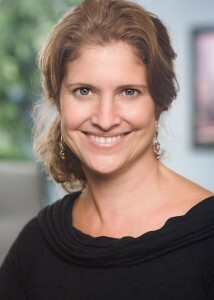 Katie earned a Human Resources Certificate from University of Maryland University College and is a Certified Professional with SHRM Society of Human Resources. Our employees embrace our core values of reliability, integrity, safety and service.